Do Plants Photosynthesize in the Dark? 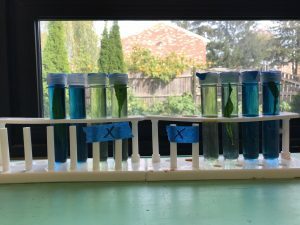 Today we set up a lab in which we are testing if aquatic plants can photosynthesize in the dark and if plants undergo Cellular Respiration in the light and dark. 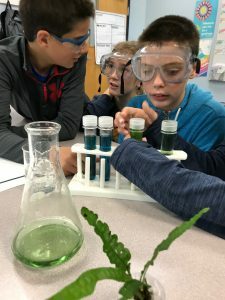 Students this week have learned about photosynthesis and cellular respiration and are now putting that knowledge to the test!